Anthony’s Jewelers is a family owned business operating in Santa Maria, California. Established in 1980, we have been in business for over 35 years and we have greatly enjoyed each of those years. Staying true to our motto: Discover the Difference ~ The Difference is Service, we at Anthony’s Jewelers make every effort to provide exceptional, top of the line service. By honoring each piece that we sell we are able to keep your jewelry looking as beautiful as the day you purchased it. We strive to provide quality jewelry at competitive prices. Specializing in diamonds and custom design, we are able to provide stunning pieces that are as unique and irreplaceable as each of our customers. 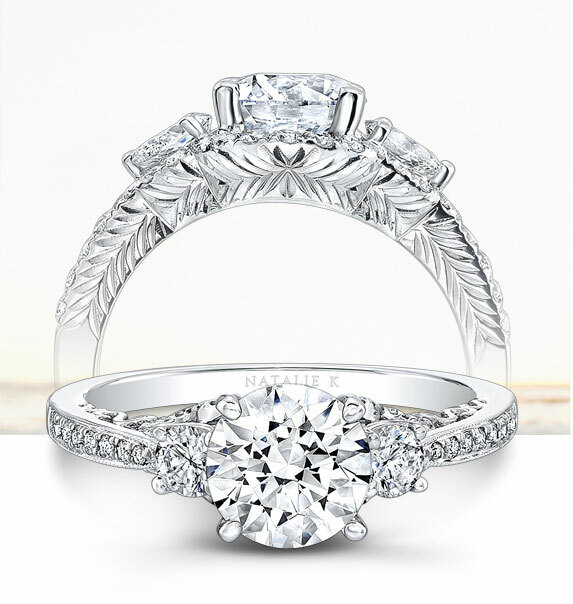 We offer an incredible selection of diamond engagement and bridal jewelry that includes the elegant Natalie K® collection, our custom, one-of-a-kind pieces, and more. Our selections also include: diamond pendants, bracelets, and earrings, gold and diamond watches, Citizen® Eco-Drive® and Quartz watches, pearl and opal jewelry, and a variety of colored stone jewelry including the ruby, sapphire, and emerald gemstones. With our selection always changing with current industry and fashion trends, we are sure that you will find that perfect piece for yourself or your loved one. In addition to our superior customer service, and jewelry selection we also offer outstanding in-house repair services. From chain repair to replacing stones, we handle all of your jewelry repair needs. Anthony’s Jewelers also buys gold at top dollar!